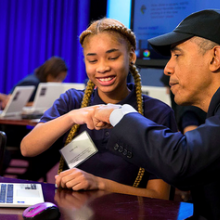 We are pleased to announce that the United States Office of Science and Technology Programs (US OSTP) announced Project GUTS' commitments during CS Education Week. 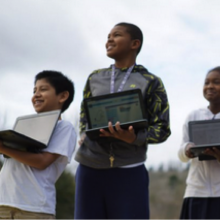 Our specific commitments are: Project GUTS will develop an online community space called "teacherswithguts.org" where teachers can share experiences and lessons on integrating computer science in science through computer modeling and simulation. This online network will serve the 2000+ teachers and facilitators in the Project GUTS community by March 2017. Project GUTS will offer an online teacher professional development course on computer modeling and simulation featuring the latest version of MIT Scheller Teacher Education Program's StarLogo Nova. 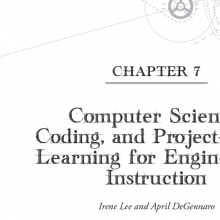 Irene Lee and April DeGennaro recently published a chapter entitled "Computer Science, Coding, and Project-Based Learning for Engineering Instruction" in the book "Engineering Instruction for High-Ability Learners in K-8 Classrooms" edited by Debbie Dailey &amp; Alicia Cotabish and published by Prufrock Press of Austin, TX.